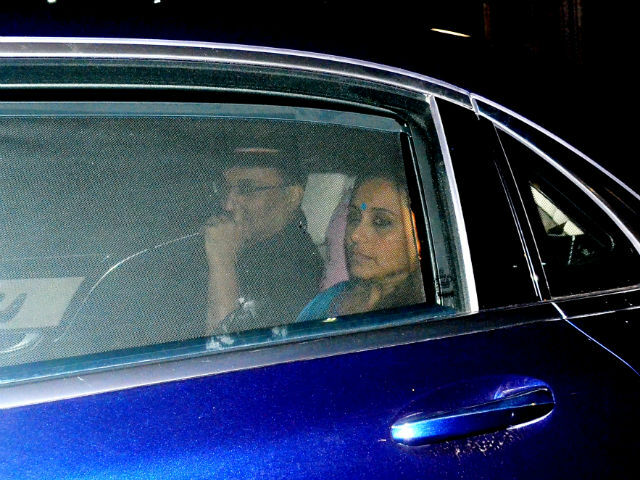 Actress Rani Mukerji made a rare appearance with filmmaker husband Aditya Chopra in Mumbai on Monday night. 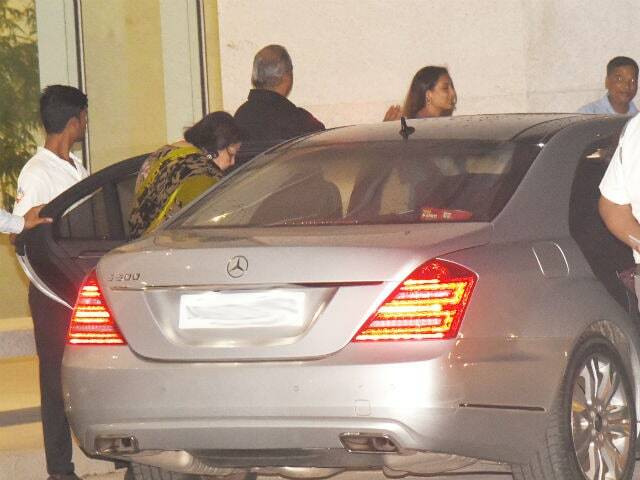 The couple were spotted arriving for dinner at a restaurant and were accompanied by Pamela Chopra, Aditya Chopra's mother. Rani, 39, appears to be wearing an Indian outfit and paired her look with a blue bindi while Aditya Chopra, 46, is seen in a black suit. Rani and Aditya Chopra married in 2014 in a private ceremony and their daughter Adira was born next year on December 9. Aditya Chopra is best-known for directing Dilwale Dulhania Le Jayenge while films like Veer-Zaara, Fanaa, Band Baaja Baaraat, Ek Tha Tiger and Jab Tak Hai Jaan, have been produced by him. He is the son of late filmmaker Yash Chopra. Here are some pictures from Rani Mukerji and Aditya Chopra's dinner. 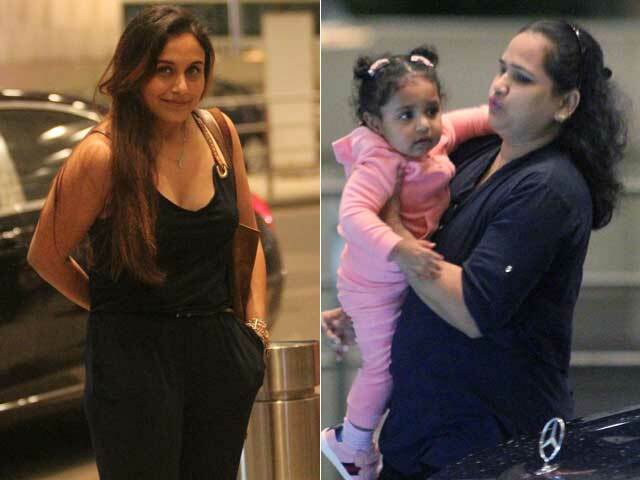 In June this year, Rani was photographed with baby Adira at the Mumbai airport. The family has carefully shielded Adira from the paparazzi after her birth. During a Facebook live session from Yash Raj Films' page, Rani revealed that Adira's pictures weren't shared by the family as Aditya Chopra maintains a private life. "I don't post pictures of my daughter because my husband is a very private person and I respect that." Say hello to baby Adira. On Adira's first birthday, Rani wrote a letter to her daughter. 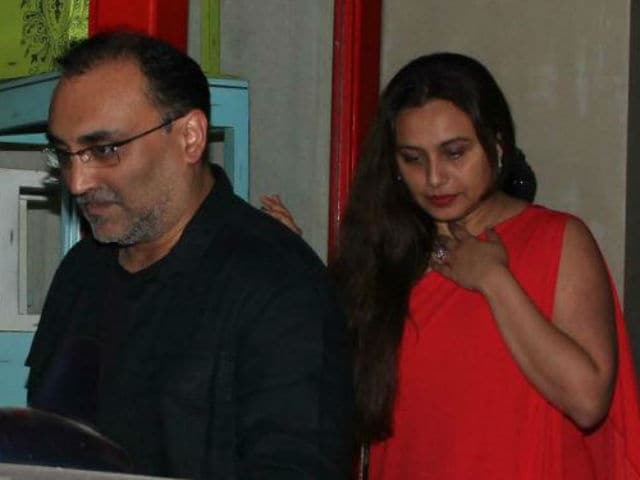 Aditya Chopra, who is rarely spotted at events, was photographed last year with Rani at a friend's birthday party in Mumbai. Rani Mukerji was last seen in 2014's Mardaani. Her next film is Hichki, which went on floors a couple of months ago. Meanwhile, Aditya Chopra last directed Befikre.